Click the photos to view each of the holiday-themed sun catchers up-close. 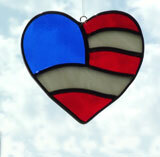 DESCRIPTION: The American flag shaped like a heart. 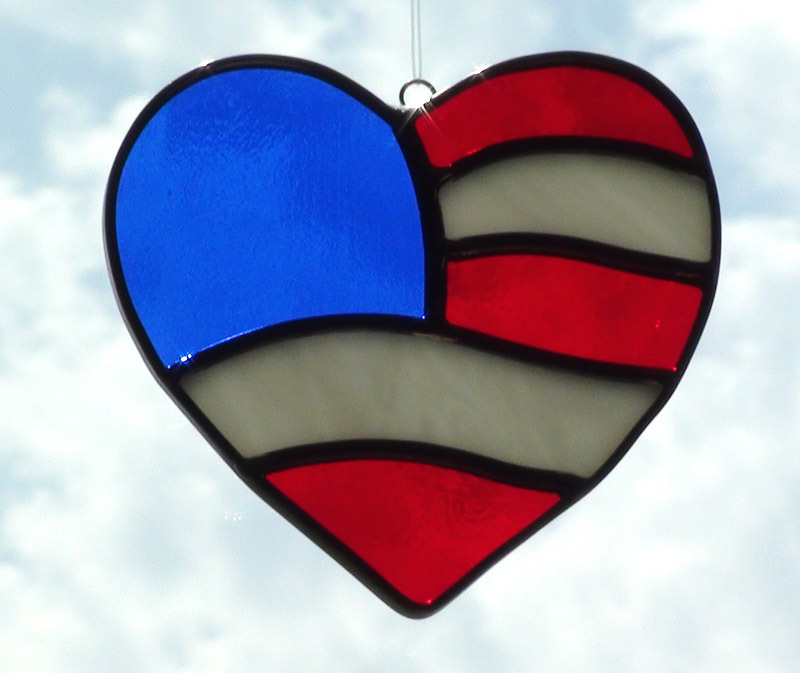 A stained glass red, white and blue heart that makes a wonderful patriotic decoration and can be displayed all year long. 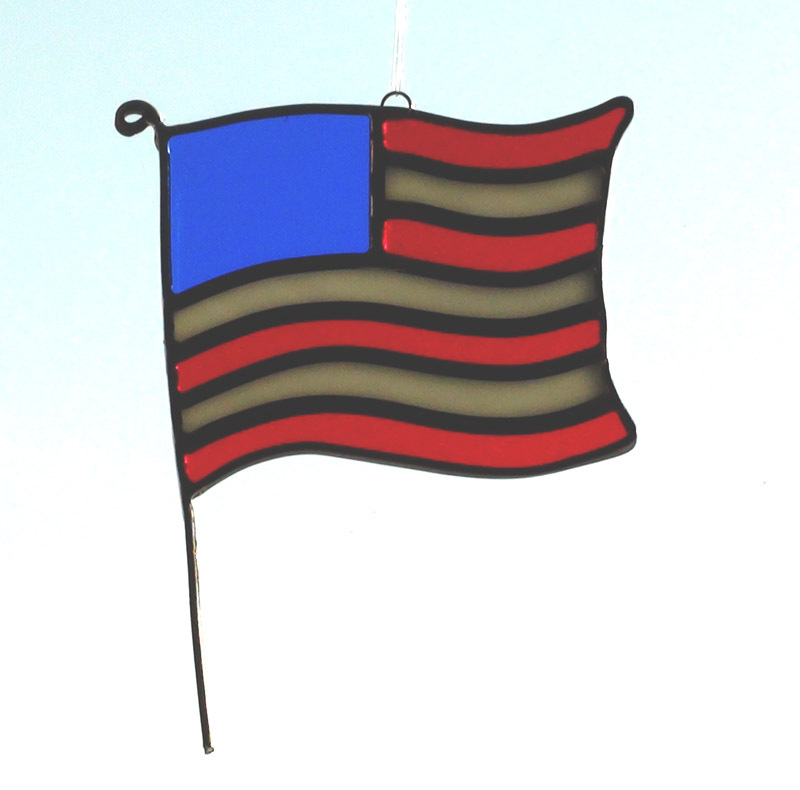 It measures approximately 3 inches by 4 inches.